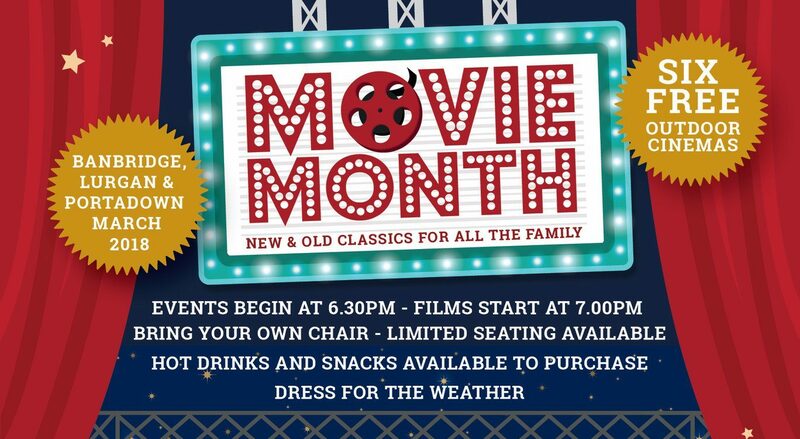 This March, enjoy some fun-filled movie magic with six FREE outdoor cinema events across the borough! 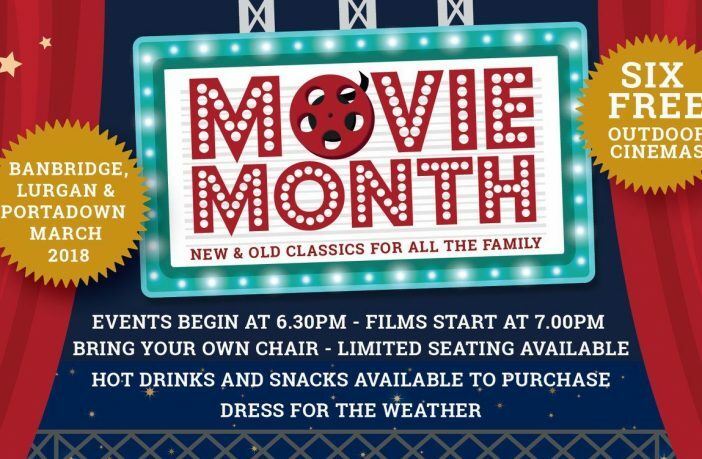 Keep the family entertained with some old and new classics showing throughout the month in Lurgan Park, Solitude Park and Portadown Pleasure Gardens organised by Armagh City, Banbridge and Craigavon Borough Council and funded by the Department for Communities. Come along at 6.30pm on each evening, set up your picnic blankets and chairs then sit back, relax and enjoy the show starting at 7pm – just after it gets dark! 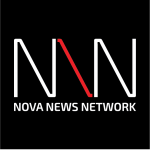 All screenings are non-ticketed events. With a selection of family friendly movies sure to get you laughing, singing and dancing along. The first will take place in Lurgan Park on 2nd March with Despicable Me. Followed by Banbridge Solitude Park on 3rd March showing Inside Out. 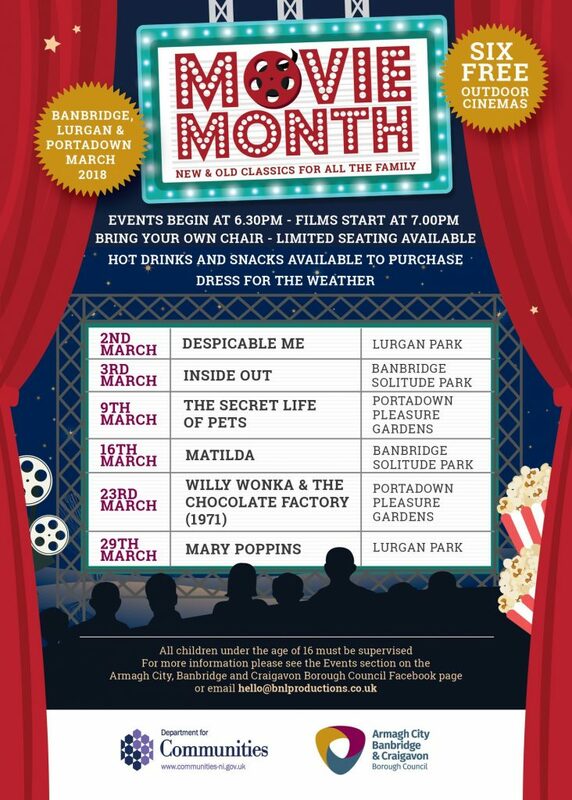 Next will be a screening of The Secret Life of Pets in Portadown Pleasure Gardens on 9th March, Matilda in Banbridge Solitude Park on 16th March, Willy Wonka & the Chocolate Factory (1971) in Portadown Pleasure Gardens on 23rd March with the final credits set to roll in Lurgan Park with a screening of the popular classic Mary Poppins on 29th March. Everyone is welcome, however all children under the age of 16 must be supervised. Limited seating will be available at each event. Therefore attendees are advised to bring their own seat and dress appropriately for the weather. Hot drinks and snacks will be available to purchase from a variety of local traders in the park. For more information on each of the events email hello@bnlproductions.co.uk or check out the events section on the Armagh City, Banbridge and Craigavon Borough Council Facebook page.